CSC Services have successfully completed a refurbishment programme for EDF Energy using their latest corrosion control coating system. 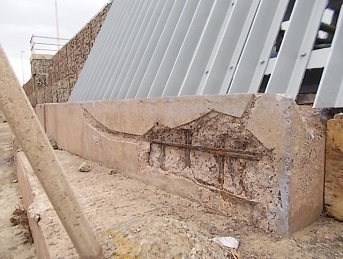 The Gabion Wall at Hinkley Point B Power Station is located behind the main sea wall on the Bristol Channel coast and was installed in response to an extreme tidal surge. Marine exposure and high chloride ingress had taken its toll putting the integrity of the structure at risk. 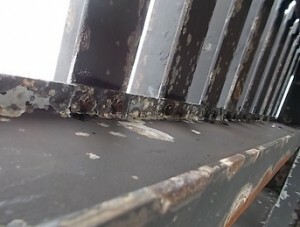 When pack rust thickens to the point where rivets pop, plates bend and bearings seize consequences can be fatal. Refurbishment of the Gabion Wall was required to repair the structure and protect against further corrosion. 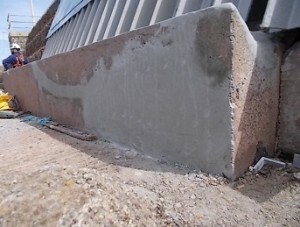 “Following the removal of old plywood boards from the infill of the Gabion Wall, the structure was fully prepared for coating. An anti-corrosive coating was applied to the Gabion Wall Infill, concrete patch repairs undertaken and new GRP Fibreglass boards installed. 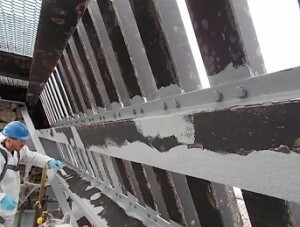 Images from the corrosion control coating work undertaken are shown below. 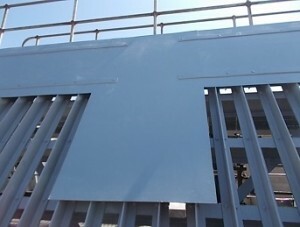 For more information about the range of coatings CSC Services can provide click here.